There seems to be a political consensus surrounding the murder of Jo Cox MP. The House of Commons and the House of Lords are to be recalled so that everyone will be able to pay tribute to her. Additionally, the other main political parties have announced that they will not be contesting the resulting by election that will take place as a result of her death. The Labour leader Jeremy Corbyn assumed a statesman-like dignity when he said that, “She was taken from us in an act of hatred, in a vile act that has killed her. It is an attack on democracy what has happened today. It is the well of hatred that killed her.” Oh, how times have changed. On 30 March 1979 Airey Neave was driving out of the House of Commons car park when a bomb planted beneath his car exploded. His right leg was severed and the left was left hanging on by a flap of skin. He died an hour later. On 12 October 1984 a bomb exploded at the Grand Hotel in Brighton. It was intended to kill the whole of the Conservative government, and it did kill Anthony Berry MP as well as seriously injuring many others. On 30 July 1990 as he reversed from his driveway, a bomb planted beneath Ian Gow MP’s car exploded. He died ten minutes later. 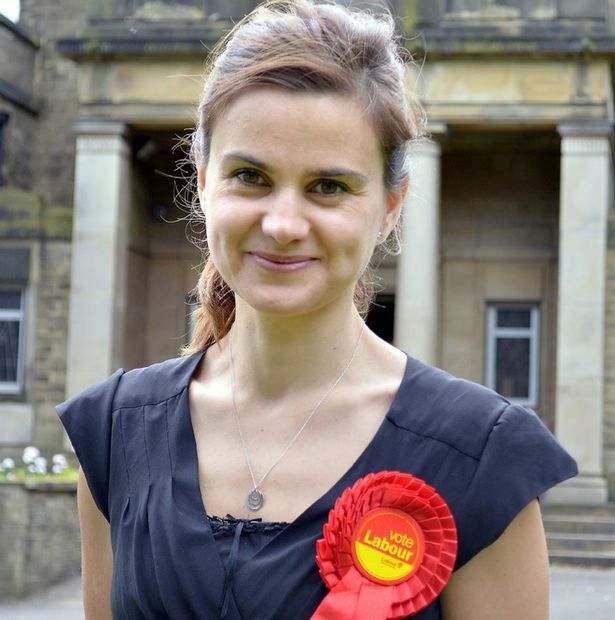 So, whilst the present Labour leadership is unequivocal in its absolute condemnation of the murder of Jo Cox, it is perhaps useful to remind ourselves of the support it expressed for the other three political assassinations mentioned above. In October 2015 the Daily Telegraph published a report  into the involvement of Jeremy Corbyn and the Labour Shadow Chancellor John McDonnell with the IRA. the British only sit up and take notice [of Ireland] when they are bombed into it. . . We refuse to parrot the ritual condemnation of ‘violence’ because we insist on placing responsibility where it lies. . . . Let our ‘Iron Lady’ know this: those who live by the sword shall die by it. If she wants violence, then violence she will certainly get. It seems to me despicable to lament and weep over political violence when it is doing you harm but to celebrate it when it does you good. The present Labour leadership have not renounced violence as a political tool. Indeed, the left will never renounce violence. Instead they try to renounce violence directed against them, whilst actively supporting violence carried out against their political opponents. The fact that Corbyn is allowed to occupy the moral high ground by so many in Britain tells you a great deal about the skewed imperatives that reign there.